Adam Felber, “Wait, Wait Don’t Tell Me” and writer for “Real Time with Bill Maher” recaps the best of the worst movies ever! 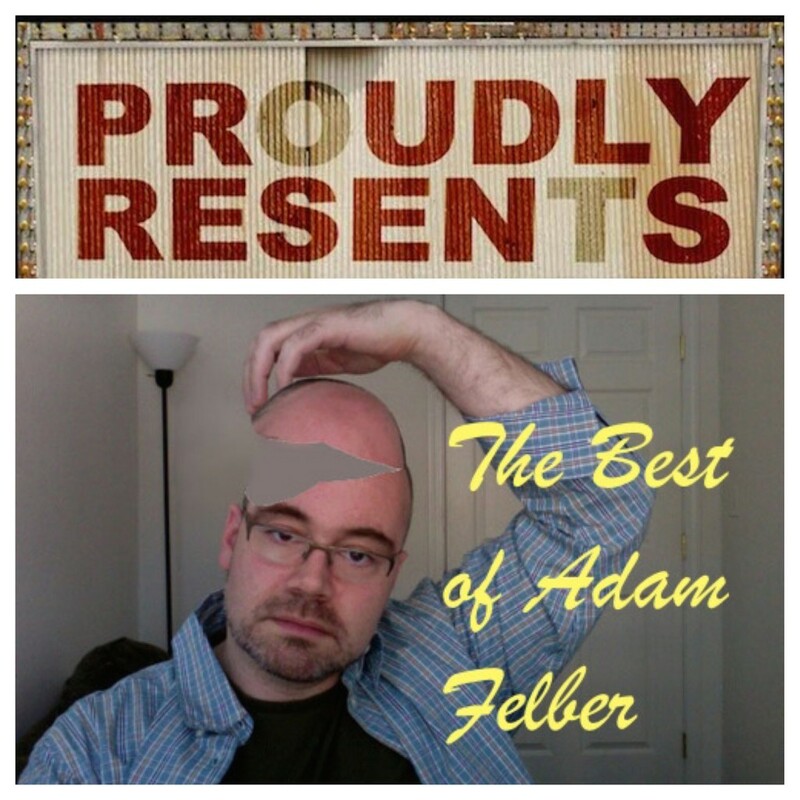 Adam Felber has been a guest as both a reviewer and a straight man. Here’s a collection of his best appearances. Adam Felber joins me to review Nic Cage’s “Wickerman,” “Old Dogs” “Pluti Nash,” a couple of crappy Christmas movies, Gary Busey as a talking dog and more. Adam Felber also plays straight man to the great Jeff Cesario and Andres Du Bouchet. Adam Felber plays a literal lunatic side kick on a sports show and 1/2 of the worst movie review team with Andres Du bouchet. Adam Felber is an American political satirist, author, radio personality, actor, humorist, novelist, television writer, and comic book writer. Felber attended Tufts University in Medford, Massachusetts, and graduated as an English major in 1989. He has lived in Brooklyn, New York, and now lives in Los Angeles, California. He is a regular panel member (and occasional guest host) of the NPR radio quiz show, Wait Wait… Don’t Tell Me!. Felber is the author of the novel Schrödinger’s Ball, which uses as a conceit the concept of Schrödinger’s cat. He has also written for several television shows including Real Time with Bill Maher, Talkshow with Spike Feresten, Arthur, The Smoking Gun, and Wishbone. Felber is also writing the second Skrull Kill Krew limited series for Marvel Comics. Felber’s mother is the late romance novelist, Edith Layton. Adam Felber writes and performs for screens of all sizes and resolutions, and he spends almost every night on some stage or another. He comprises one third of the Irwin Smalls Trio, a sketch comedy group. His writing credits include PBS’ Arthur and Wishbone as well as AMC’s soon-to-premiere The Wrong Coast. He also writes for The Smoking Gun TV show. His first screenplay, Women Are From, is currently in development at Paramount/MTV Films. Felber has been improvising comedy all over the world for the past 15 years, but he can quit any time he wants to. In addition to his many talents, he is also an accomplished blogger. 17 episodes available. A new episode about every 179 days averaging 33 mins duration . Start listening to Proudly Resents: Best of Adam Felber on your phone right now with Player FM's free mobile app, the best podcasting experience on both iPhone and Android. Your subcriptions will sync with your account on this website too. Podcast smart and easy with the app that refuses to compromise.